Enjoy a compelling evening with this Colorado band. Jeff Scroggins has become one of the most celebrated internationally touring band leaders in bluegrass music today performing with Jeff Scroggins and Colorado. 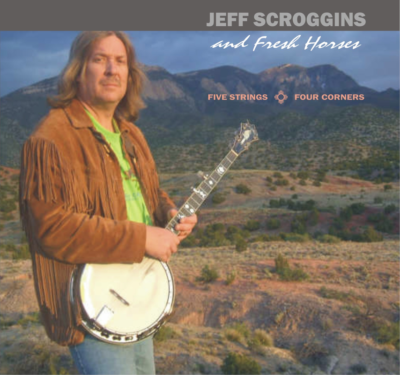 Jeff's career began in 2007 with his first band Jeff Scroggins and Fresh Horses. This will be an exciting reunion concert, kicking off their tour, and will feature Jeff on banjo, his son Ross Scroggins on lead guitar, and founding members Mark and Ruth Bennett of Kingston, NM, along with special guests from the New Mexico Bluegrass scene. The concert will mark the FIRST TIME that Jeff and Ross have worked together professionally! We invite you to join us for this historic and compelling evening of bluegrass music with a New Mexico and Southwestern flair and a bit of New Mexico Bluegrass history in the making!